Thanks to the Papa John/Laundry Service imbroglio, the marketing world at large can be excused for missing a major societal crisis that recently engulfed Deloitte, the Big Four accounting firm. The petition, as well as an e-mail, were sent directly to Deloitte’s CEO, Cathy Engelbert. 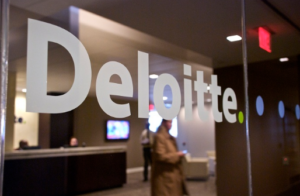 In addition to demanding Deloitte sever all ties with ICE, employees insisted the firm take a public stance against the Trump Administration’s policy that resulted in migrant children being separated from their parents. But, Deloitte did NOT sever its contractual arrangements with ICE. The leader of the firm’s governance practice informed employees (in yet another e-mail) that Deloitte had been working with immigration and border agencies for many years and said their work did not “directly or indirectly support the separation of families.” What , exactly, does that mean???? One other note: Deliotte’s contracts with ICE include one for administrative and data records management support services for the division dealing with detention and removal of unauthorized immigrants. It was signed in 2015 and is worth as much as $5.3 million, according to The New York Times. To address a massive issue with e-mails. To continue to work with ICE. To hope employees would be satisfied with their non-response and refusal to stand up to the Trump Administration. In my mind, Deloitte’s actions were the exact opposite of what a firm guided by a higher purpose should do. First, and foremost, the communications team should have identified any, and all, potentially toxic client relationships such as ICE, anticipated employee pushback and developed a communications strategy months before the anti-ICE petition and picketing became front-page news. Second, the CEO should have held an all-hands meeting that was video conferenced around the world to ALL employees. An e-mail simply doesn’t cut it and, if anything, reinforces how detached Engelbart is from the feelings of the rank-and-file. Third, the firm should have initiated an internal audit of its relationship with ICE and made smart, values-driven decisions rather than continuing to invoice ICE and hope employees get back to their day jobs. The firm lacks a higher purpose. Vision and values are fine. But, employees need to understand why the firm exists and why they should be passionate about showing up for work every day. The higher purpose would have guided their words and actions vis-à-vis ICE. The courage of culture is akin to the lion in The Wizard of Oz. It lacks courage. This entry was posted in Advertising, Business, Current Affairs, Leadership, Public Relations, Reputation Management, Society by Steve Cody. Bookmark the permalink. I agree with your sentiments, but don’t most people realize that working for a $38 Billion services corporation means dealing with people you don’t like? I am not saying it’s right by any means, just a reality. It certainly continues to hold true of Interpublic, Havas, Omnicom…..